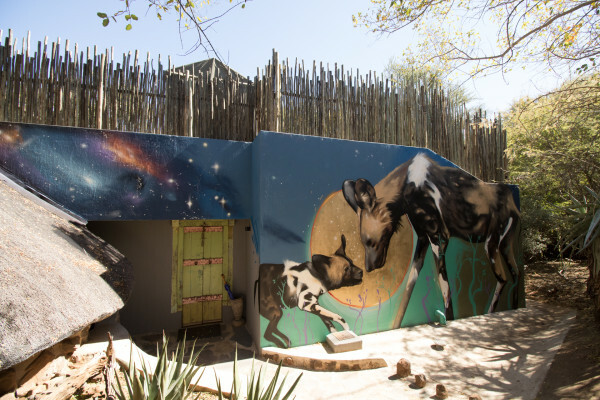 Our two luxury Starbed Suites are bushveld romance personified, furnished with bursts of colour and custom-made finishes, with rooftop extensions that afford guests the unique opportunity of sleeping under the African stars and now, thanks to the internationally renowned street artist Falko, they have received an extra special touch of creative flair! 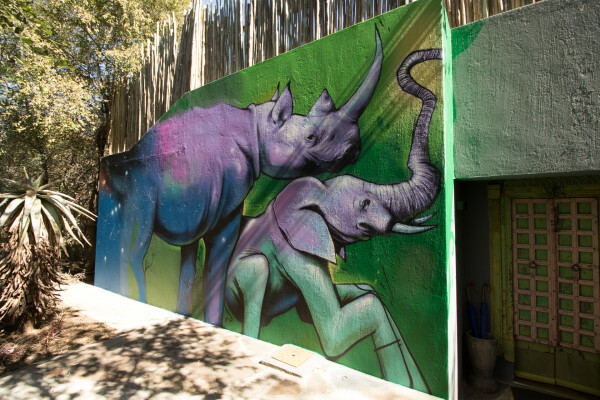 Previously blank walls are now bursting with bold, colourful works of art that reflect our love of colour, creativity, proudly South African talent, and, most importantly, our passion for our country’s wildlife. 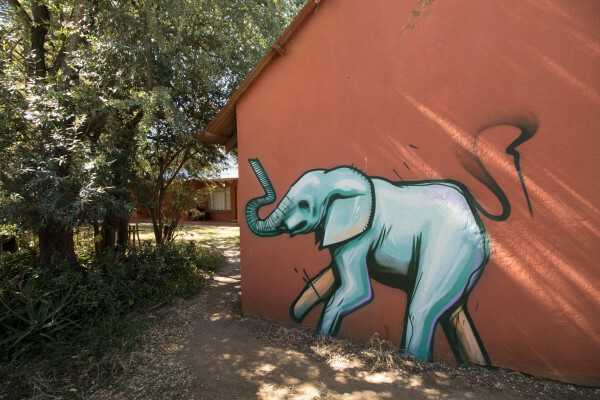 The larger-than-life murals depict Falko’s trademark elephant and endangered rhino on one suite and our personal favourite, African Wild Dogs, on the other. 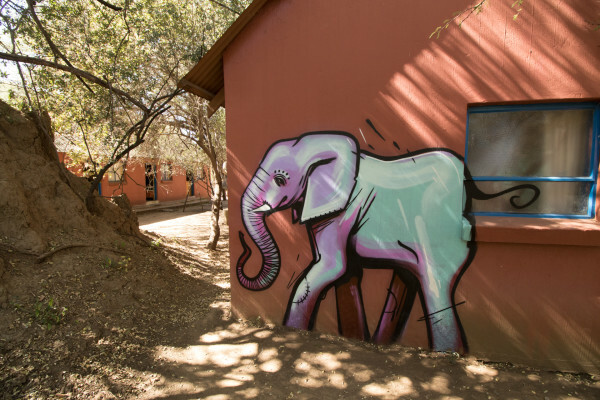 Hidden around our staff village as well as at Jan and Jaci’s Mongoose House, Falko has tagged the walls with his elephants and we couldn’t be happier to have them as the latest artwork additions to our lodge. 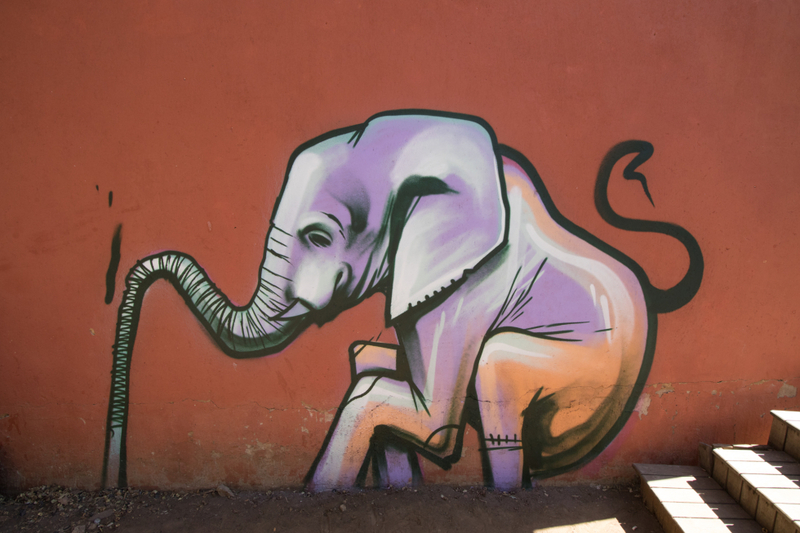 Interestingly enough, even although Falko is known for his striking depictions of elephants all over the country, he had actually never seen one in person until his trip to Jaci’s! We were thrilled to afford him and his family the opportunity to spot these amazing animals in Madikwe while staying with us. The perfect backdrop for bushveld selfies, striking statements on the beauty and conservation of wildlife and a showcase for Africa’s artistic talent, our original Starbed Falko’s are proving to be thoroughly appreciated and enjoyed by our guests and staff. Click here to watch the time-lapse video of Falko creating the Orion Starbed artwork, all done freehand!